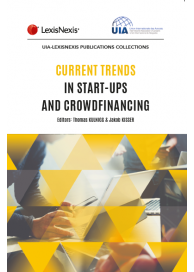 To all start-ups, investors and legal practitioners looking for advice and ideas on crowdfunding and similar alternative financing models – take a look at the UIA-LexisNexis publication „Current Trends in Start-ups & Crowdfunding“ edited by Thomas Kulnigg and myself. The first book is on the legal aspects of starting up and funding a business. Legal practitioners from various jurisdictions cover legal topics and trends relevant to start-ups and crowdfinancing and provide an overview on the currently booming start-up environment. This book covers the most relevant legal topics on startups and crowdfinancing, and assists legal practitioners in better understanding concerns in this area. 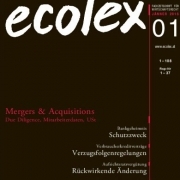 It should be a great read for any legal practitioner wishing to venture into the start-up and crowdfinancing world.